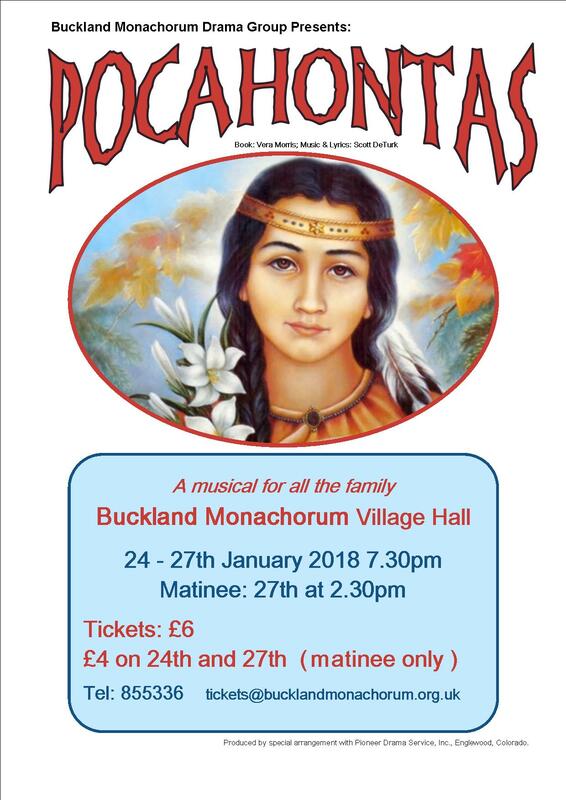 Buckland Monachorum Drama Group’s Winter 2018 production was a musical based on the true story of Pocahontas. Featuring a cast of adults and children, the famous story was brought to life with great costumes and some wonderful music. Performance dates were 24th to 27th January 2018. Pocahontas was the daughter of the mighty Algonquin Chief Powhatan and delights in playing with Raven, Wolf, and Squirrel. But she has also made friends with the English settlers of Jamestown, a community struggling with starvation and sickness. In real life, she eventually married one of the settlers and came to live in England. She died and is buried in Gravesend. 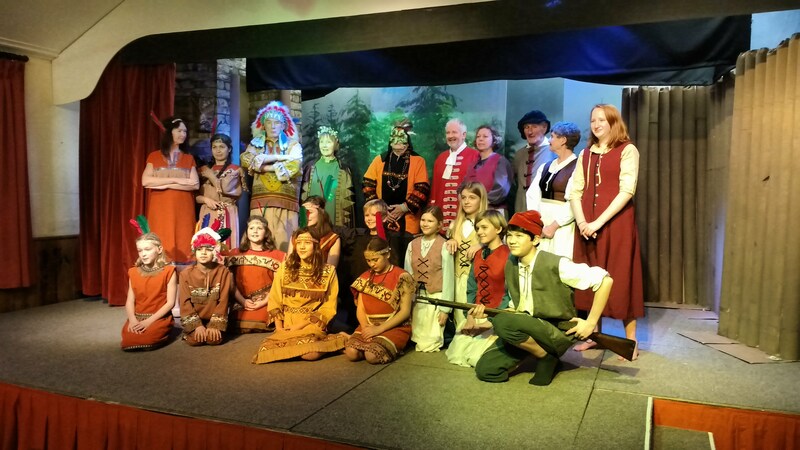 This enchanting musical is graced with a wonderful cast of characters: Little Running Rabbit, Brave Eagle, Aunt Morning Star, Forest Spirits, Mother Earth, and, of course, the people of Jamestown. Filled with Native American lore and beautiful music, this play is true to the original legend. The Wordspinner and the rhythmic beat of the tom-toms open and close this charming musical adventure for all the Family to enjoy.